We all want to eat, and live, organically. But we don’t — not always. Even the best of us cuts corners every once in a while. 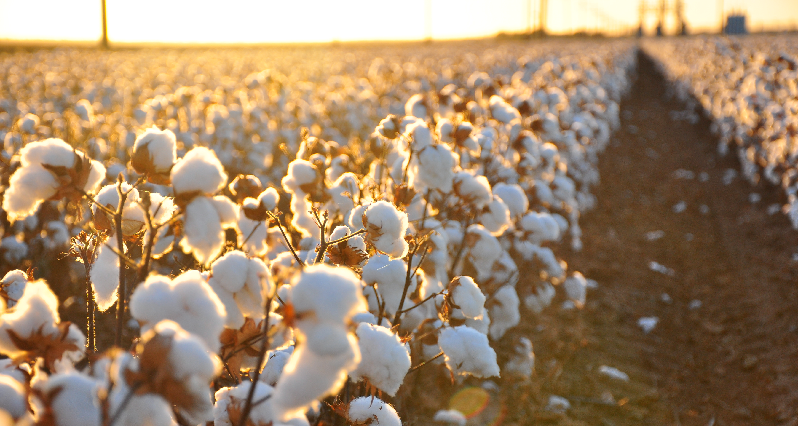 Cotton never makes it onto the top-10 lists because it’s not a food. Besides, cotton goes through such rigorous processing that most residual pesticides are washed out by the time they hit store shelves. So your non-organic jeans, cotton swabs, and tampons are all going to be relatively clean at least by the time you finally encounter them. But on an environmental level, conventional cotton farming is a disaster. Acre for acre, cotton might very well be the biggest ecological disaster in global agriculture. Now welcome back to the real world: I sit here writing this in an organic cotton t-shirt, true, but also a decidedly non-organic pair of jeans: it’s nearly impossible to live your life in only organic fibers. But clothing that treads lightly on the planet be it cotton, hemp, wool, etc. is something we must seek out more and more, advocate for more, and yes, be willing to pay more for. Potatoes sometimes do, sometimes don’t, make the top-ten lists. Usually they don’t. Thick-skinned potatoes don’t soak up pesticides like more delicate, thin-skinned fruits. And sturdy spuds can be washed more forcefully, so most of the pesticides at the level of the field don’t appear in the supermarket. In his excellent The Botany of Desire, author Michael Pollan draws parallels between four crops and four “fundamental human desires.” So the spread of the apple across the American frontier parallels our desire for sweetness; the fascination with tulips in 17th century Holland parallels our desire for beauty; growers and breeders of marijuana inform us of our desire for intoxication; and the potato, in present day American agriculture, epitomizes our desire for absolute control over nature. Nothing, says Pollan, absolutely nothing is allowed to live on a potato field but potatoes. No weeds, no birds, no bees, no potato rootworms, no earthworms. Chemicals assure us of this. Even farmers themselves will not set foot on their own fields for 4-5 days after sprayings, some of which are applied by robot sprayers. Potato fields in Idaho are sprayed on average fourteen times a year. And since potatoes grow underground, and many of their pests live underground, chemical management of these pests means finding ways to sink these chemicals deep into the soil itself. Our latest alternative to conserving fuel by driving less and buying locally-grown may actually save petroleum sort of. But this “corn gas” doesn’t just spring forth golden-green from the Earth, solar-powered and happy. Ethanol is made from commodity corn, and commodity corn is a pesticide- and fertilizer-intensive crop. (Recent attempts in Brazil to convert sugarcane waste to ethanol leave me decidedly more optimistic). First of all, let’s not forget that the fertilizers and pesticides we use to grow the corn, which is made into ethanol, which ostensibly saves us petroleum, are made from petroleum. And let’s not forget that the energy needed to power the factories that make corn into ethanol are also fossil fuel- dependent. In fact, some estimates have it that three calories of fossil fuel go in for every four calories of ethanol that come out. Still a net savings, no? Well, we also mustn’t forget that we’re sacrificing a potential food crop here. And finally, let’s not forget that while ethanol burns cleaner, it grows dirtier. I’m not necessarily saying that regular gas is better than ethanol. I really don’t know. But ethanol, as it currently stands, is far from the guilt-free, “green” technology we want it to be.